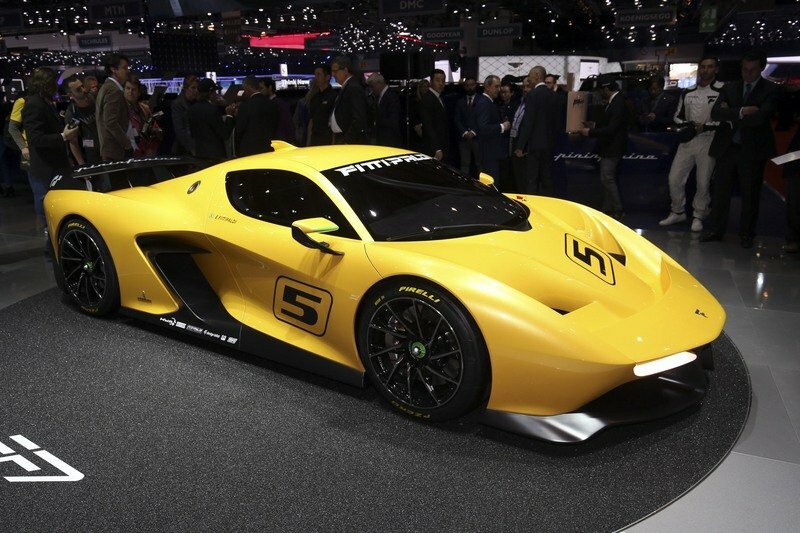 Like most supercar brands that are starting off from scratch, Emerson Fittipaldi’s Pininfarina Fittipaldi EF7 Vision Gran Turismo suffers from not having the foundation that other supercar models from more established brands have. 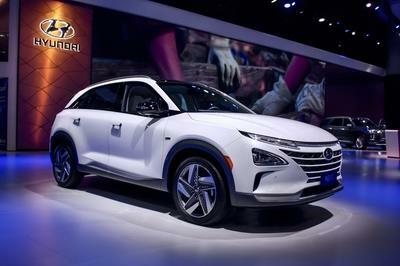 The car looks good on paper, but a model’s success isn’t determined on the parcel from which it’s drawn on or even on a full-bodied prototype that debuts at the 2017 Geneva Motor Show. The good news is that Fittipaldi Motors - the company started by the former F1 world champion - actually has plans to bring the EF7 to life. The road to seeing the EF7 is going to be a long and difficult one to navigate. That’s usually what awaits start-ups who try to bring their works to the forefront. 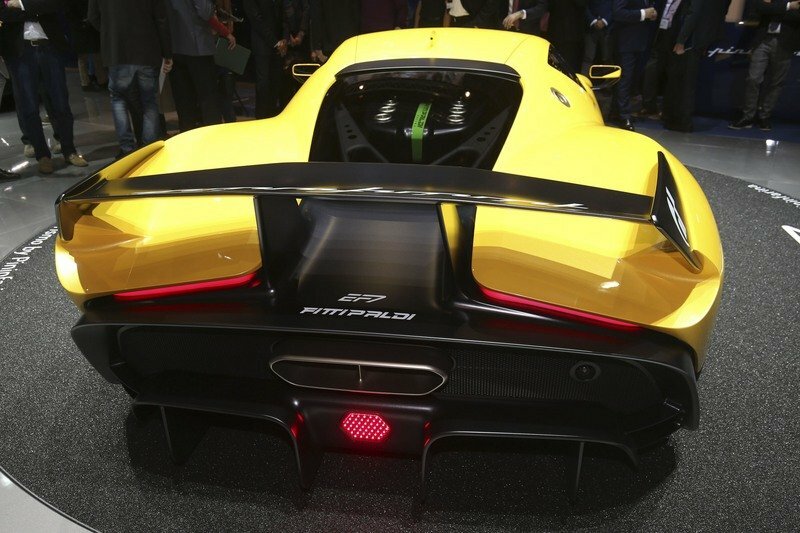 But Fittipaldi does have a few things on its side too, not the least of which is the drive and dedication to see the EF7 evolve into the production supercar he’s always envisioned it to be. He also has partners in the fold to help him get his project off the ground, including Pininfarina, whose work on the car’s design is immediately recognizable, and HWA AG, an AMG spinoff that prepares German touring cars. The objective is clear, even if the execution is far from. 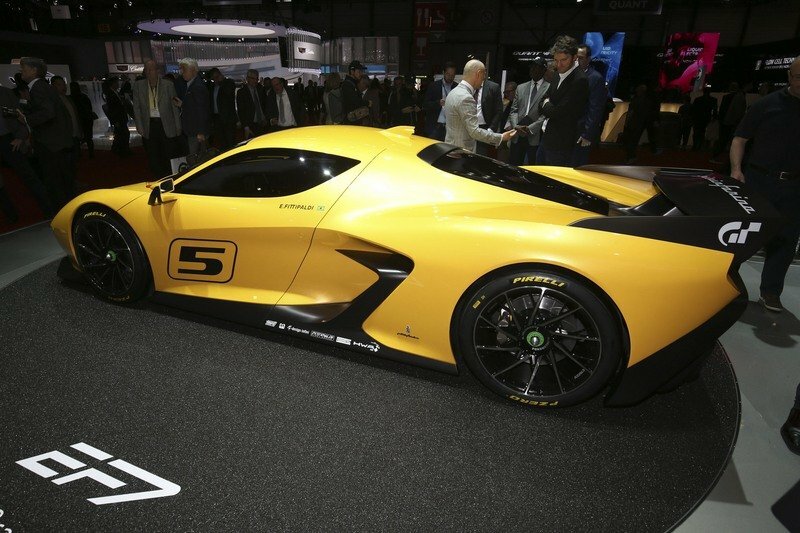 Ultimately, Fittipaldi plans to build 39 units of the EF7, a number that’s tied into the number of races the 70-year old driver won during his long and illustrious career in both Formula One and Indycar. Easier said than done, right? Well, we’re definitely rooting for the company to prove its skeptics wrong. It’d be nice to see a project car like the EF7 realize its full potential. 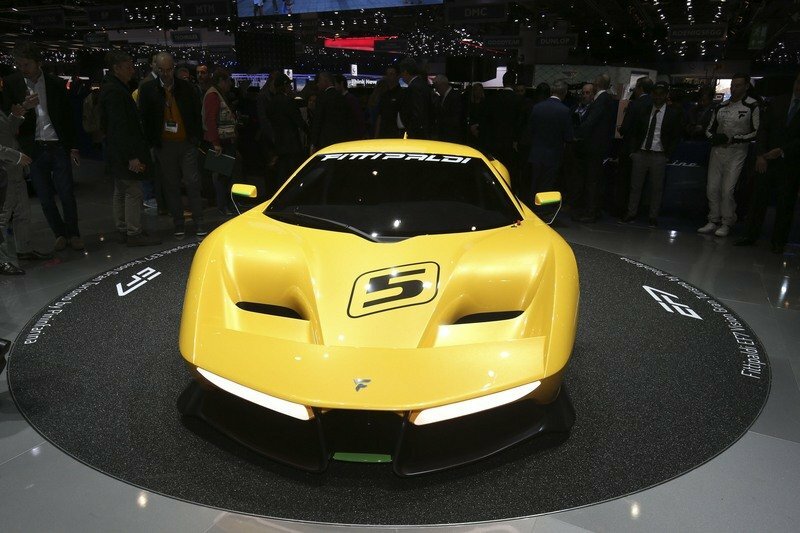 When he envisioned what the EF7 was going to look like, Emerson Fittipaldi wanted it to look like a bonafide GT track car that could impress people in both the styling and performance departments. So he sought the help of Pininfarina to address the former, and the Italian styling house did what it does best: design a car that achieved its customer’s intentions. As you might expect from a GT track car, the EF7 is teeming in aggressiveness. The front section features a sloping hood with holes on either side to account for the interestingly designed intakes and ends with a pointed nose similar to the profile of a shark. Just below the hood are two large strips that serve as the car’s headlights and just below them is the front lip spoiler that’s there for aesthetic and aerodynamic purposes. In a nutshell, The front section achieves the goal of being simple and sophisticated at the same time, succeeding in a way that gives the E7 a uniquely aggressive personality without having to put too many panels to get the job done. As you might expect from a GT track car, the EF7 is teeming in aggressiveness. The rest of the GT track car’s design is what you’d expect a performance machine to look like. Angular haunches are also a prevailing design point in line with Fittipaldi’s wish of using predatory sharks as the main styling inspiration of the EF7. The sleek body lines on the sides, the presence of a massive rear wing, and the overall low profile of the machine, all contribute in creating a decidedly attractive GT track car that looks as well as it performs in its natural habitat. In a lot of ways, the EF7’s unique styling isn’t exclusive to the quality of Pininfarina, although if we’re talking about the Italian firm, it’s worth noting that its fingerprints can also be traced to another performance car that was in attendance in Geneva. 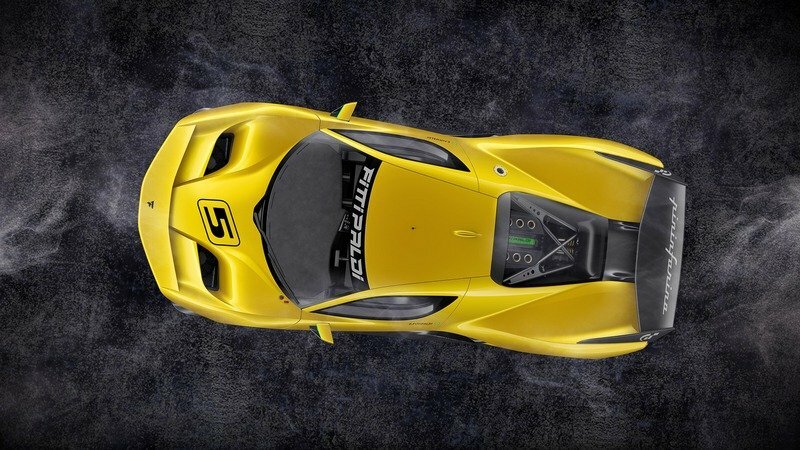 I am, of course, talking about James Glickenhaus’ SCG 003S, a street-legal version of the 003 track car that would look amazing lining up next to the Fittipaldi EF7. To be clear, the 003S, or at least prototypes of it, are now being developed by Manifattura Automobili Torino, a company that can trace its own roots back to Pininfarina through former manager and now current MAT chief Paolo Garella. Angular haunches are also a prevailing design point in line with Fittipaldi’s wish of using predatory sharks as the main styling inspiration of the EF7. History lessons aside, the SCG 003S features a lot of the same dynamic styling as the EF7, even if the package is designed differently. The aggressive proportions are visible on all sections of the car, particularly the Ferrari Enzo-like nose, the cockpit-style dash, and the adundance of aerodynamic components present in the car. From afar, you’d think that the car looks like some kind of fire-breathing supercar. 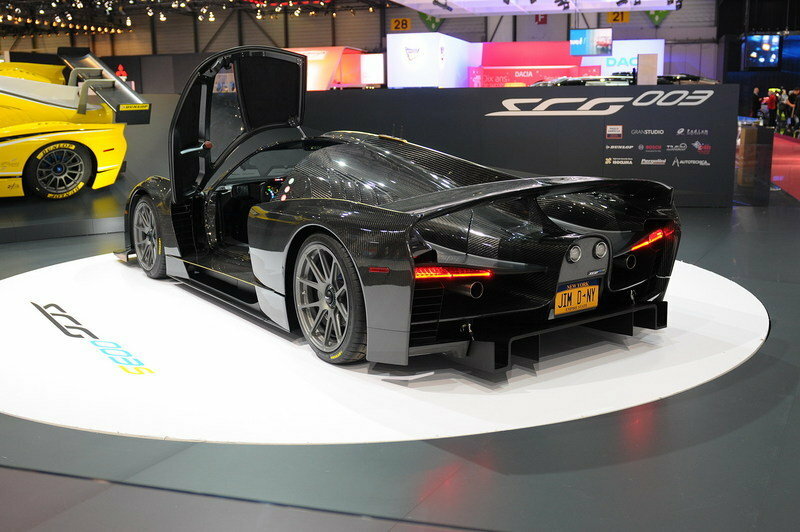 Only when you come closer that you realize that yeah, the SCG 003S looks every bit as menacing as it really is. 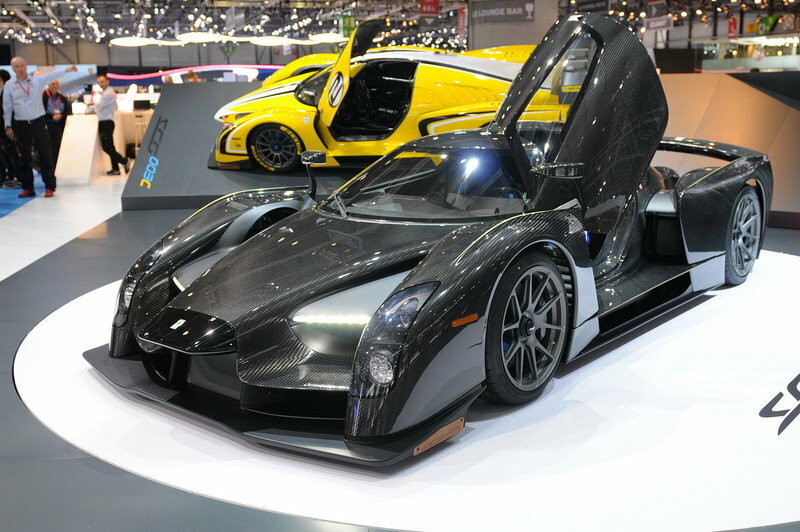 Note: photo of James Glickenhaus’ SCG 003S. As fantastic as the Fittipaldi EF7 looks on the outside, don’t expect the same level of exquisite styling in the interior. 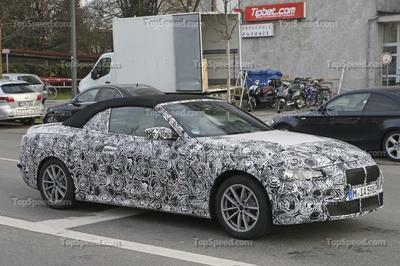 In fact, temper your expectations completely because the car’s interior styling is about as spartan as it gets. It’s got thin-shell carbon seats that not only extend all the way to the roof of the car, but can also be individually fitted to owners with pads. 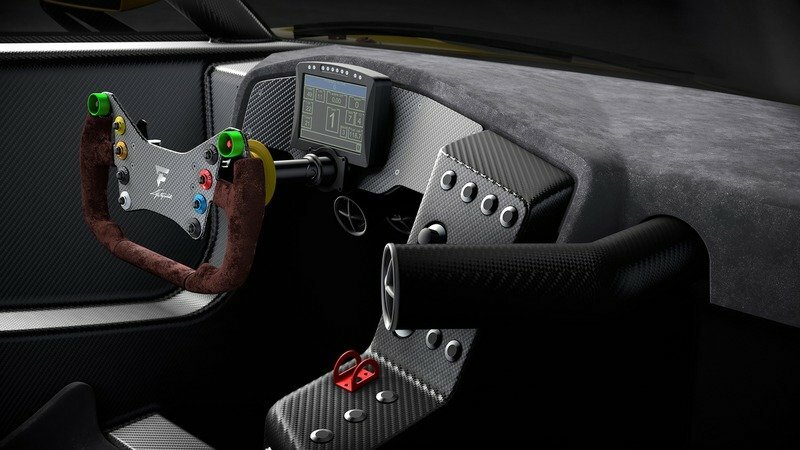 It’s got some Alcantara too on the racing steering wheel and the dashboard, and a digital instrument display that shows all the relevant technical information about the car when its on the track. One particularly interesting design element of the EF7’s interior is that protruding pipe that appears to be an A/C vent. And since the EF7 is a track car, it also comes with a range of tech available, including traction electronics and adjustable ABS. In fact, temper your expectations completely because the car’s interior styling is about as spartan as it gets. It’s got thin-shell carbon seats that not only extends all the way to the roof of the car, but can also be individually fitted to owners with pads. On the other hand, James Glickenhaus’ SCG 003S is packaged as the street-legal version of the SCG lineup, but even with that designation, the interior of the car still isn’t dressed with a full, luxury interior. 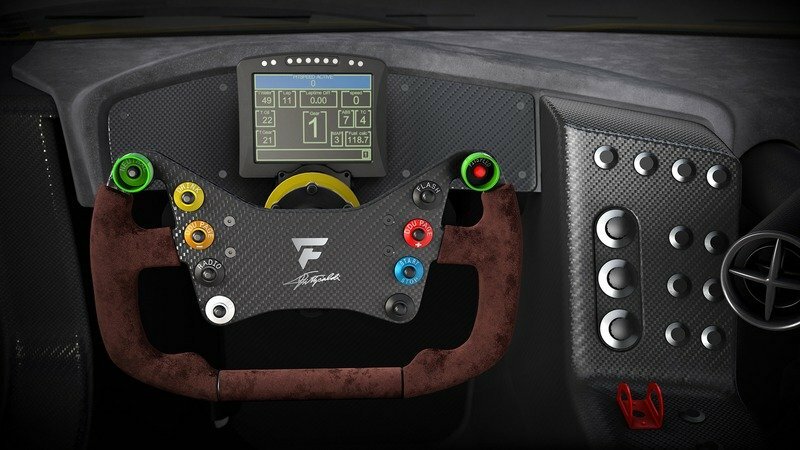 What it does have is a digital dash, a removable steering wheel, full race harnesses, and mounting points to a full roll cage that prospective owners can use to install one in the event they want to take the car out on the race track. The lack of noticeable luxury trim on the 003S is a little surprising considering that SCG previously envisioned three variants of the 003 sports car. 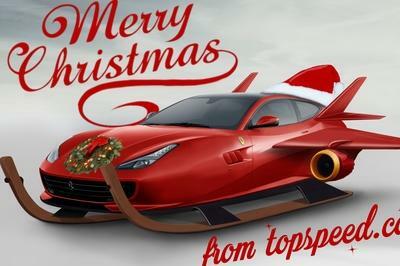 The 003S would have been the street-legal version with the full interior while the 003C (“C” stands for Competition) would have been the the track-only race car and the 003CS (“CS” stands for Competizione Stradale) serving as the street-legal version of the race car with all of the safety and telemetry equipment required to race. On the performance front, Emerson Fittipaldi’s EF7 GT track car is powered by a 4.8-liter dry-sump V-8 engine that produces 600 horsepower and 320 pound-feet of torque. The numbers aren’t as high as some expected it to be, especially when you take into account that today’s Ferraris, McLarens, and Lamborghinis all enjoy similar outputs north of 600 horses. 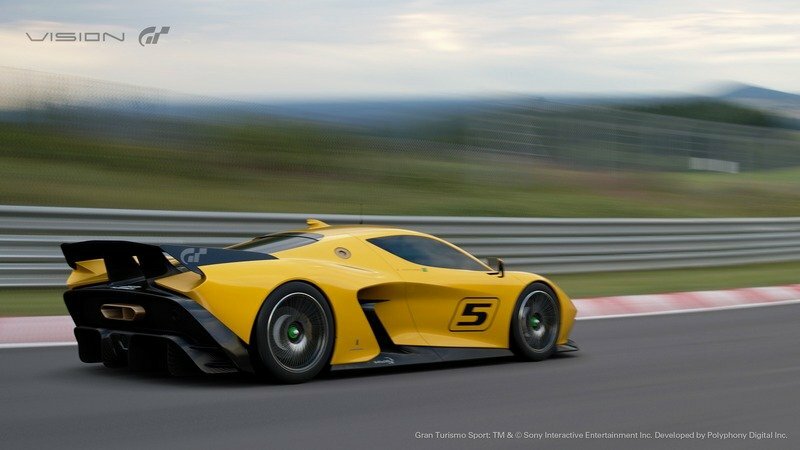 But Fittipaldi is on record saying that he wants the production version of the EF7 to weigh no more than 2,300 pounds wet (that includes a full tank of fuel and all the oil and water in the mechanical systems). The company has yet to announce performance times for the car, but with that equation to play with, it wouldn’t be a stretch to imagine the EF7 being capable of sprinting from 0 to 60 mph in the low three seconds and have a top speed approaching 200 mph. If Fittipaldi wants the car to be a bonafide GT track racer, then those numbers should be attainable. As impressive as those numbers are, the EF7 falls a little short to the SCG 003S in this department. The engines are largely similar, but the 003S’ 4.4-liter biturbo V-8 engine has more power on tap at 800 horsepower and 627 pound-feet of torque than the EF7. The Fittipaldi GT track car can compensate for that, though, if it ends up being lighter than its counterpart - the 003S is pegged to weight slightly less than 3,000 pounds wet. But, ultimately, the 003S will still be a handful to beat, especially if the car lives up to the company’s claims that it can sprint to 60 mph from a standstill position in less than three seconds before peaking at a top speed of 217 mph. Glickenhaus himself is so bullish about the 003S’ performance capabilities that he not only thinks that his car can beat the Lamborghini Huracan Performante’s 6:52.01 lap time around the Nurburgring by doing the same lap time in just 6:30, but he’s also making some noise about starting an actual Nurburgring lap record competition. You don’t get to be that confident without knowing that your car is fully capable of when you give it a race track to run on. Emerson Fittipaldi’s EF7 GT track car is powered by a 4.8-liter dry-sump V-8 engine that produces 600 horsepower and 320 pound-feet of torque. Since we’re already talking about performance concepts that were showcased in Geneva, I’d be remiss if I left out another model that I think would make for an interesting rival to the EF7, provided that it also sees the light of production day. 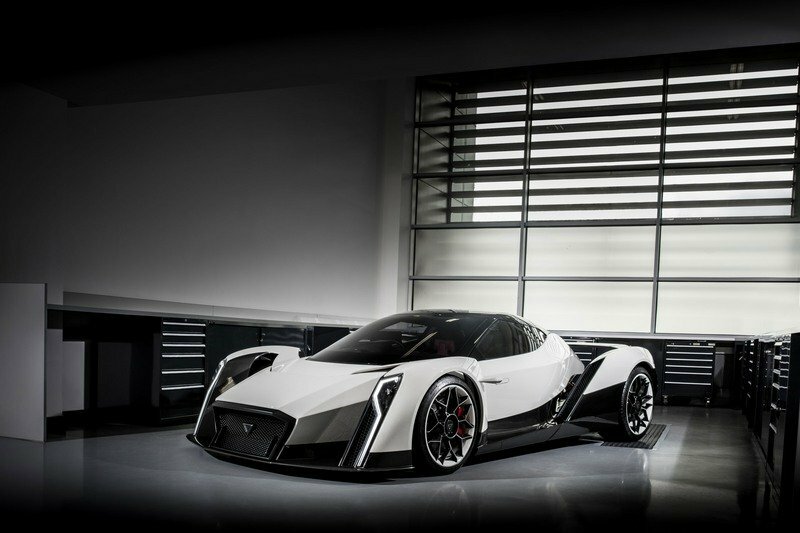 I know it’s unlikely but the Vanda Electrics Dendrobium, an all-electric supercar that has no output numbers to speak of at the moment, but does have the “promise” of being able to sprint from 0 to 60 mph in 2.7 seconds to go with a top speed that’s “north of” 200 mph. Bold targets aside, the people behind Vanda did say that it’s going to consider sending the Dendrobium to production if it generated enough interest in Geneva. There’s no word yet on whether it did, but I’m not going to expect anything until I see or hear something more concrete from the Singaporean manufacturer. Check out the tale-of-the-table below to see how the Fittipaldi EF7 compares to these other exotics we saw from Geneva. 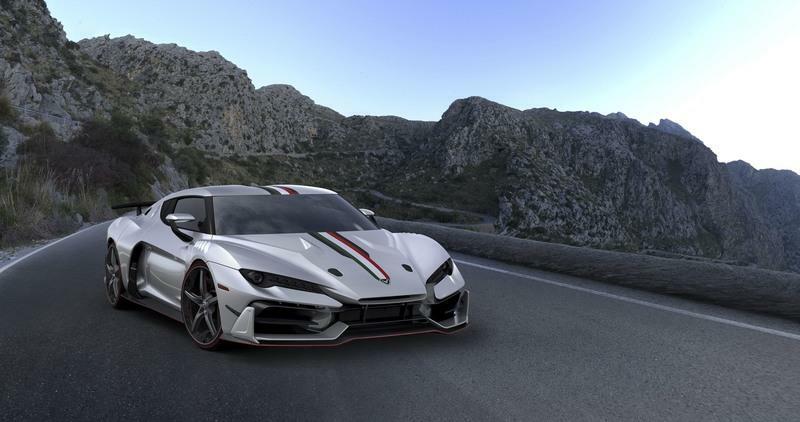 One other Geneva-showcased concept that’s on the docket for a limited-run production release is the Italdesign Zerouno, would be a nice concept-to-production car too. By sheer power and performance numbers, the Zerouno is the performance car that carries similar numbers to that of the Fittipaldi EF7, thanks in large part to an Audi-sourced 5.2-liter bi-turbo V-10 engine (the same one used in the Audi R8) that comes with an output of 610 horsepower and 413 pound-feet of torque. According to Italdesign, it’s performance times - 0 to 60 mph in 3.2 seconds and 205-mph top speed - are also in the ballpark of what the EF7 is capable of achieving. 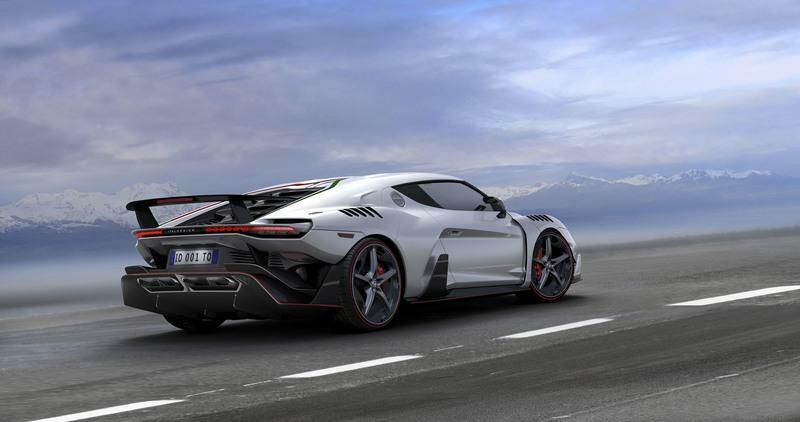 Read more about the Italdesign Zerouno here. 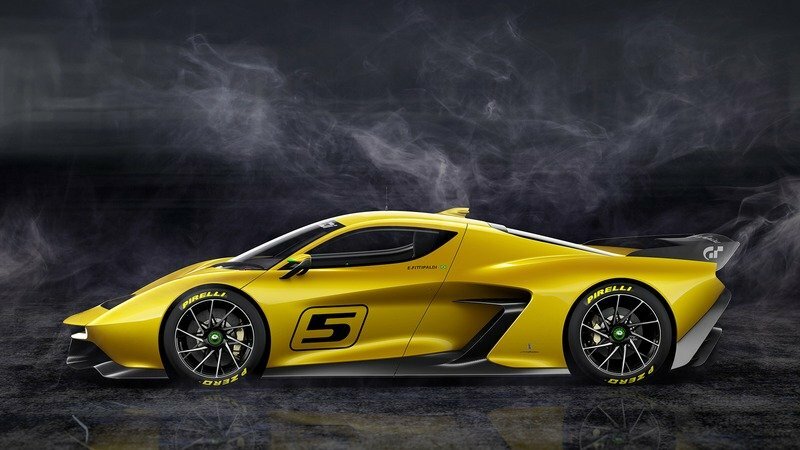 I’m a fan of the Fittipaldi EF7 Vision Gran Turismo but I’m adopting a wait-and-see approach about its production feasibility until I see or hear more about it. It’s nothing against the people behind it or their drive to make it into an actual production car. History just isn’t particularly kind on the prospect of seeing a production version. That’s all there is to it. The good news is that even if we don’t get to see the EF7 in real life, we’ll still be able to get it in the virtual world since the car is going to be part of the upcoming Gran Turismo Sport game. “The EF7 is an exciting car that embodies Pininfarina’s DNA in terms of style and innovation, Emerson’s championship race experience and HWA AG’s flawless engineering skills. 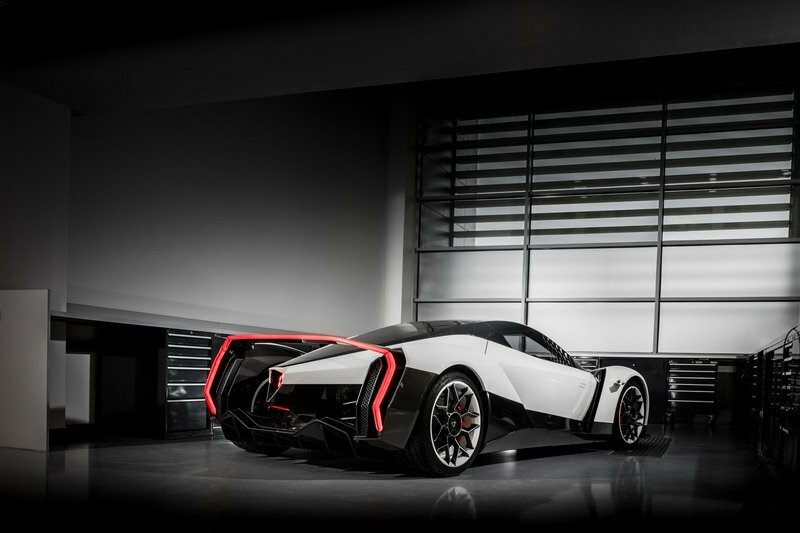 Our collective team was able to turn a dream into a driving machine,” enthused Pininfarina Chairman Paolo Pininfarina. The EF7’s exceptional yet forgiving handling and performance, will be achieved through a powerful V8 naturally aspirated engine, integrated gearbox, suspension and braking system developed by HWA AG, and an ultra-lightweight, all carbon fiber chassis construction with an exceptionally low center of gravity. 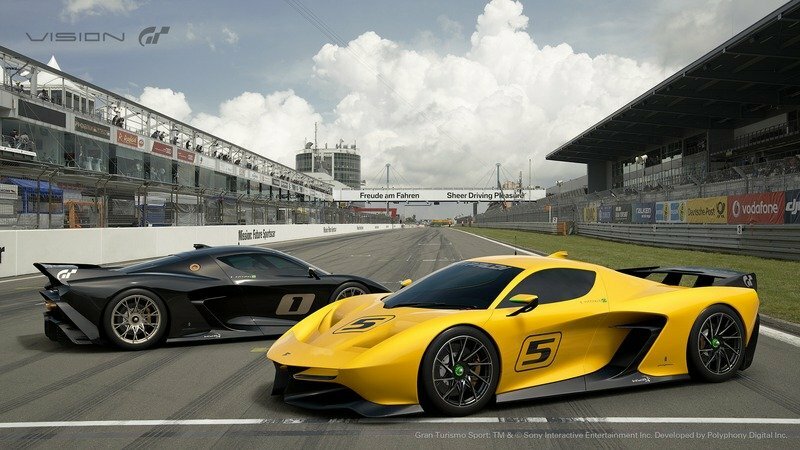 Meanwhile, supercar fans and video game enthusiasts will have the opportunity to experience the EF7 in the virtual world where it will be exclusively available in the upcoming PlayStation®4 videogame, Gran Turismo Sport™. The highly anticipated title from Polyphony Digital Inc. will bring a new era to racing games through its accessible single player and online game modes, including the brand new FIA Gran Turismo Championships, created in partnership with the Fédération Internationale de l’Automobile. 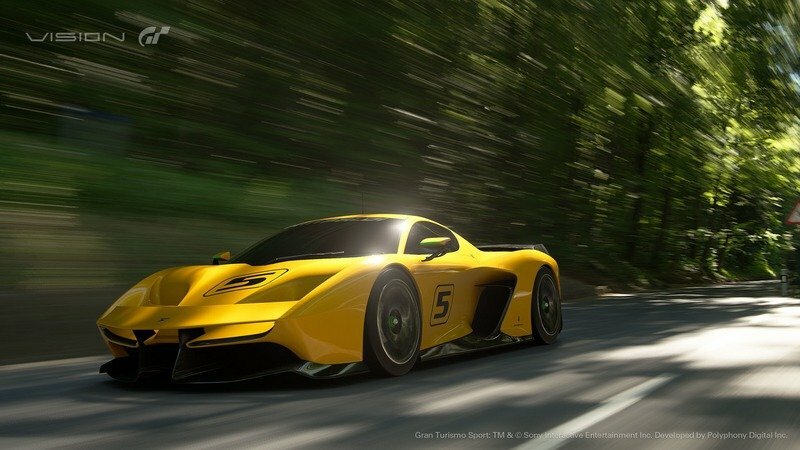 The FIA Gran Turismo Championships will create an exciting new platform for motorsports, and the virtual EF7 Vision Gran Turismo by Pininfarina will be a part of this, featuring exactly the same characteristics as the real track car.